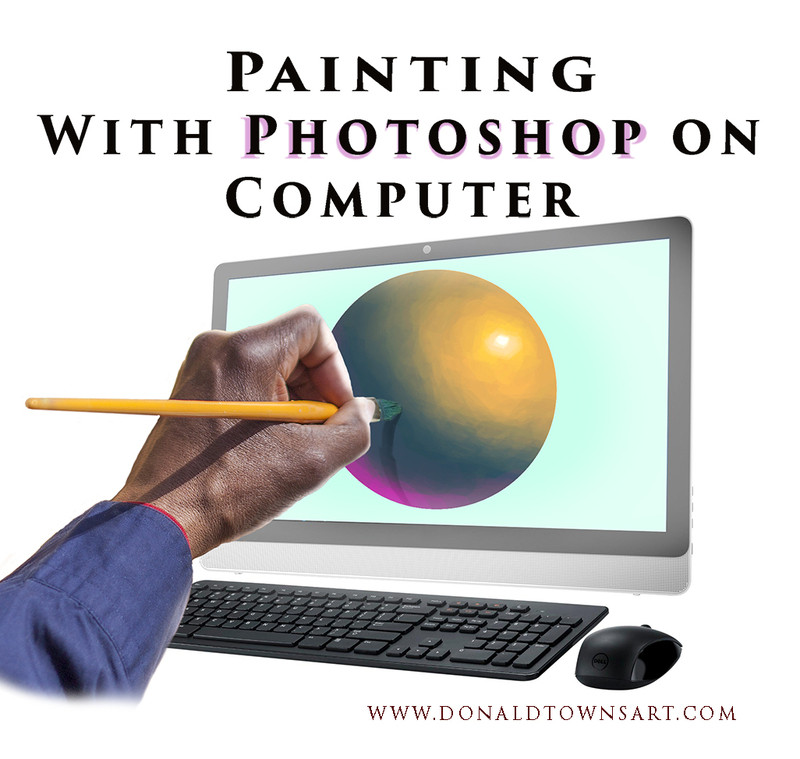 Learn how to use Photoshop to paint your art digitally rather than with physical paints and canvas. 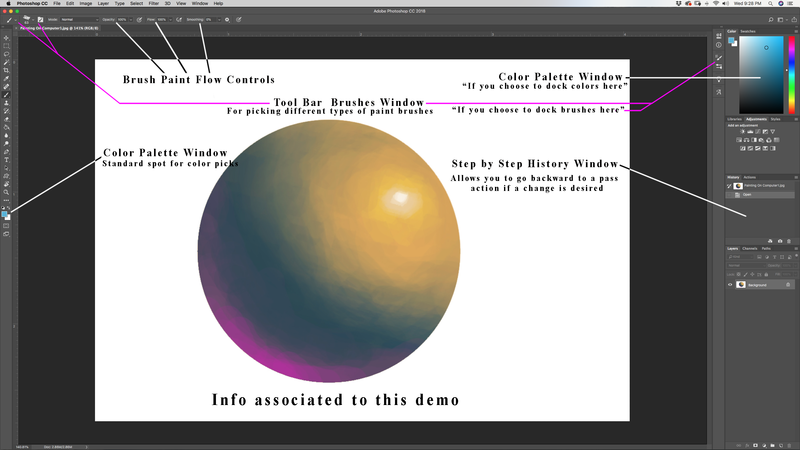 Many artists are learning digital painting for a variety of reasons, knowing how to do both is vital for artists in today’s world. 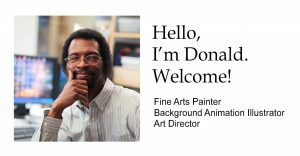 Hello fellow artists! 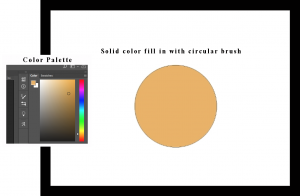 Someone asked me how to paint on computer so I thought I’d do a video demonstrating how I approach painting with Photoshop (be sure to check out the video along with this post!). Come along and see what we can learn from this approach. Artists are finding in this digital age that having a working knowledge of how to use photoshop to paint the same quality of physical artwork digitally is invaluable. Working in the animation industry we soon transitioned entirely to digital for ease of use, so I quickly learned to hone those skills to create artwork you would never know started and was painted entirely on Photoshop. 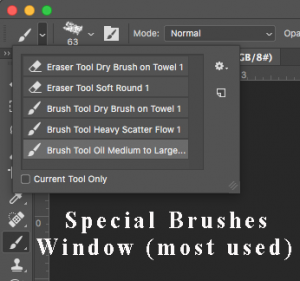 Whether you are a professional artist, hobby artist, or enthusiast, using photoshop to paint can expand the realm of what you can do with your art! 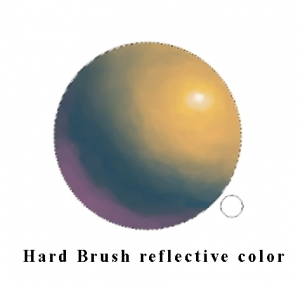 I’m going to show you how I paint with Photoshop using a simple ball. You’ll get the overall concept. 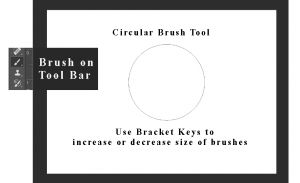 I’m going to start out with the circular shape brush (tool bar on upper lift). I’ll just punch in the color (color palette on upper right). This is a quicker way than just laying in the paint. 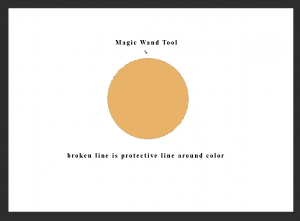 I pick out my magic wand tool (tool bar on upper left) to isolate the color. That puts a protective edge around the color. It’ll prevent anything from going outside that protective line. You don’t actually need to do this, you can paint it free handed. We are going to keep it within the marquee circle for this demo. I will pick a blue color for my shadow side. 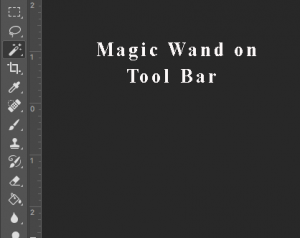 Then use less opacity, about 34% (top bar toward left). This allows me to see through the color as I’m laying it in. I’ll pick a paint brush that will make it easier for you to see my brush strokes working (upper left corner). I prefer to stroke in the color because that gives me a sense that I’m actually painting with a real paintbrush. 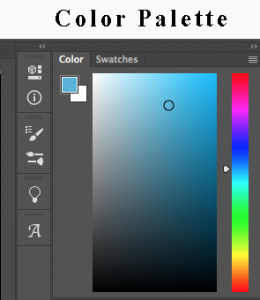 Using a color picker (option on Mac, Alt on PC), I’m going to select this portion of blue as a transition color that I’m painting in. 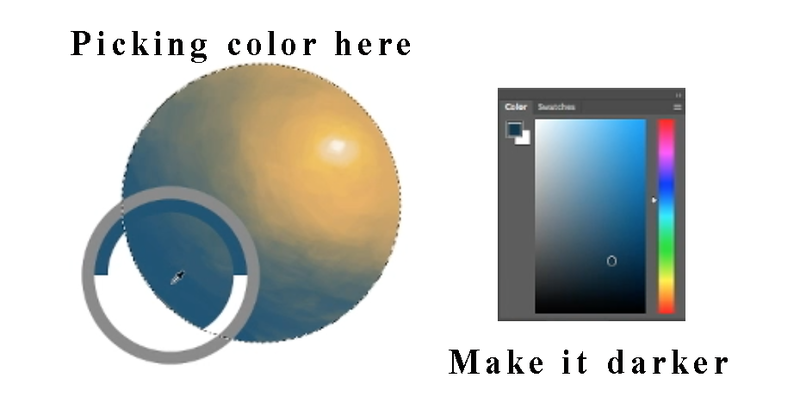 Little by little, stroke the color in to get the painted look that we hope for. It’s building strokes on top of each other. I also like the random tones that happen as I’m painting, trying to slowly bring those tones together to create my dimensional effect; my “tone of values”–that’s a better way of putting it. It’s more involving with this process, but I prefer the results. Now I’ll lessen the opacity to 9% to smooth out my brush strokes so they are not too strong. I just work the strokes, thinking of it as paint until I get the subtleties of blend that I would like to see or that I feel is working well. 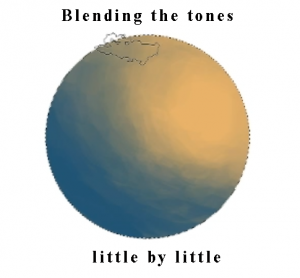 Of course, you can achieve this using an airbrush effect also, which will soften some of the brush stroke effect. But I don’t want this to feel air brushed; that’s why I use this method. I like the irregularities of what I have here. I’ll give a little more to this area, going around to the right side of the ball. I can actually blur it a little bit with a blur filter and that will give me even less stroke detailing, if I chose. 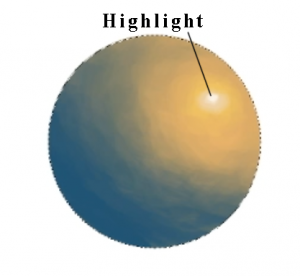 Now I’m going to lighten it up a little right in here: darker opacity to 45%, little more yellow, lighten up a slight bit. That’s my hot spot. 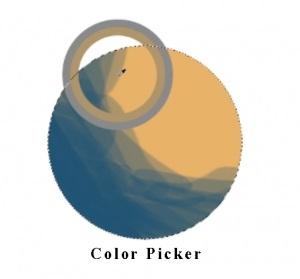 I use my picker, right here, to touch the color close by to allow for some of the transitional elements to happen easier. I don’t always have to go to my color palette to pick colors. It can be right from my work in progress. Now I go slightly whitish. Give my final highlight. There’s my Photoshop painted ball. 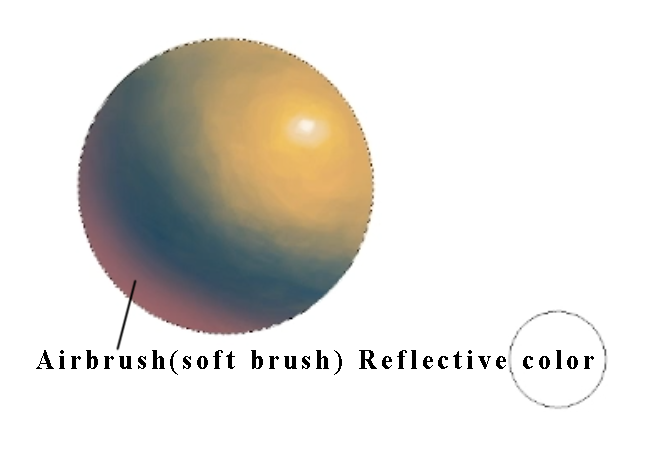 Let’s say if I did choose an airbrush (or an “assimilated soft round brush” is more accurate). So I would take that color, go a little darker with it. I would sweep across with it. Then I would like to do a little reflective color. Let’s say there’s some red off somewhere. I could do it as a quick airbrush stroke and I could be done. Or I could stroke it with my hard brush if I want to maintain that textured feeling, working it stroke by stroke. I want it to be consistent here. I’ll add a little more light to the reflective color and stroke that in. The idea is to get you to see how to apply the painting process. I can, for better transition, use a little less opacity and make the reflection a little lighter with more saturation. 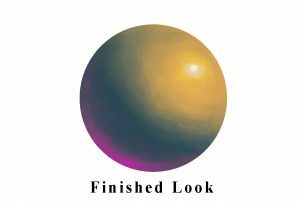 Now that’s how I would paint a simple ball. 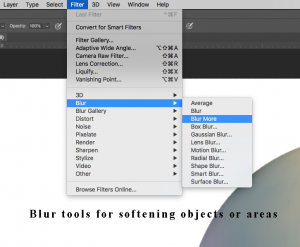 In the future, I will show you how to do other objects on Photoshop. So there you have it, painting with Photoshop on computer. 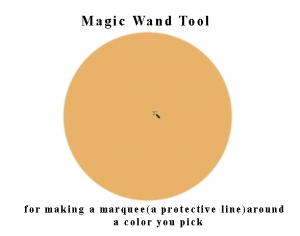 A totally different tool to utilize. Keep an eye out for the “Painting On Computer” series. Give me a like if you learned something. See you next time!